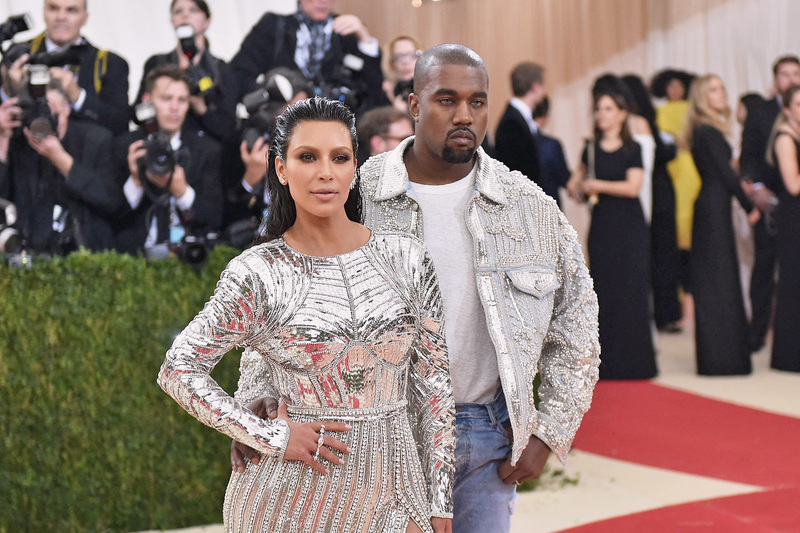 When it comes to award show style, the universe can always count on Kimye to rock the boat. From flower-couch dresses to all-camo-everywhere, they simply never disappoint (sartorially, anyway). On June 26, Kim Kardashian and Kanye West at the 2016 BET Awards, however, were nowhere to be found. Whether at the Met Gala or the Grammys, this is a couple that can pull it all off. Sheer, almost-naked gowns, one-hue-from-head-to-toe looks, fur on fur, and the contour kingdom are all in their repertoire. There is just no style too bold, too risqué, or too Kimye. That's precisely why they were missed tonight. Had Kardashian been on the carpet to celebrate her hubby's nominations for Best Collaboration and Best Male Hip Hop Artist, she likely would've rocked the carpet in a sleek mane, bodycon dress, and those classic contour skills. The two would have effortlessly played off each other as per usual, I'm sure. Although there's no confirmation as to why Kimye skipped out on BET, it would seem that Kardashian is celebrating an evening of Keeping Up With The Kardashians. On the night of June 26, she posted a snap to Instagram asking fans to live-tweet the show. As for West, his Twitter has been quiet. But I like to think the pair is snuggling up somewhere, watching themselves on the telly. Somewhere in this world, the Kardashian-West's are slaying. It's just not at BET.